Brian and I have been renting a lot of movies lately (gotta love the library and red box), there just isn't much on TV right now. 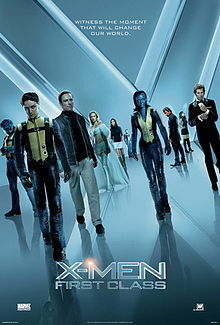 Last weekend we watched Brides Maids and X-Men. I know what you are thinking... one for me and one for him. But we both really enjoyed both movies. 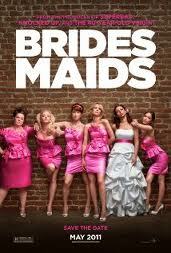 Brides Maids is silly and funny, while X-Men was exciting and intersting. X-men touched upon the 1962 Cuban Missile crisis, which I have to admit I didn't know too much about. Now I am currious to read a book about the missile crisis minus the muntants.